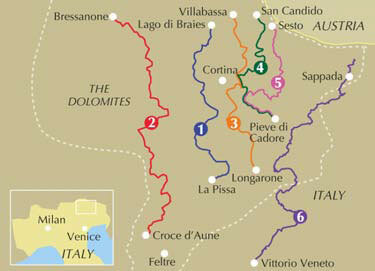 Italy's famous Alta Via long-distance walking routes are spread across the Dolomites running roughly north to south and across to the Austrian border. Increasing in difficulty from AV1 to AV6, they vary in length from 6 to 13 days and range from easy ambles to difficult aided climbs. For the two first routes, described in detail in this guide, overnight stops are at manned mountain huts or guesthouses so walkers can travel light and the way is well walked and easy to follow, suitable for any experienced alpine trekker. Now a World Heritage Site, the Italian Dolomites have long been a popular destination for skiers in winter and walkers in the summer months. For trekkers an excellent network of paths is dotted with welcoming 'rifugi' or mountain huts in stunning locations and efficient public transport for getting to the start and back from the finish. 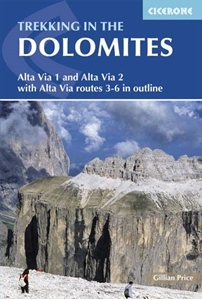 Written by an expert in Italian trekking, with information on the fascinating wartime history of the region, plants and wildlife and also practical considerations such as the best time to go, what to take and rifugi protocol, this guide offers trekkers all the information they need to enjoy the mountains to the full.